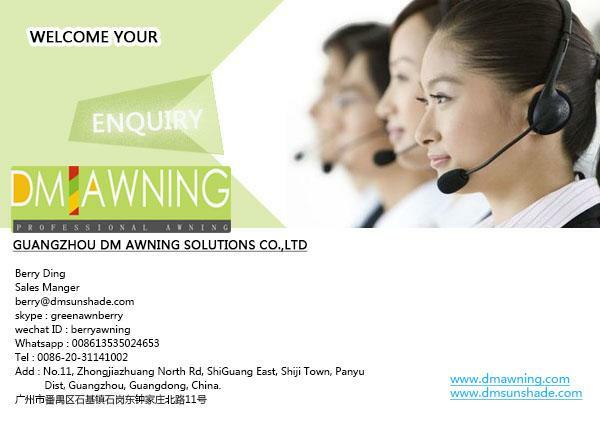 Why to choose DM awning with strong arm? 1.The unique Double-Spring structure, gives awning arm greater strength. 2. 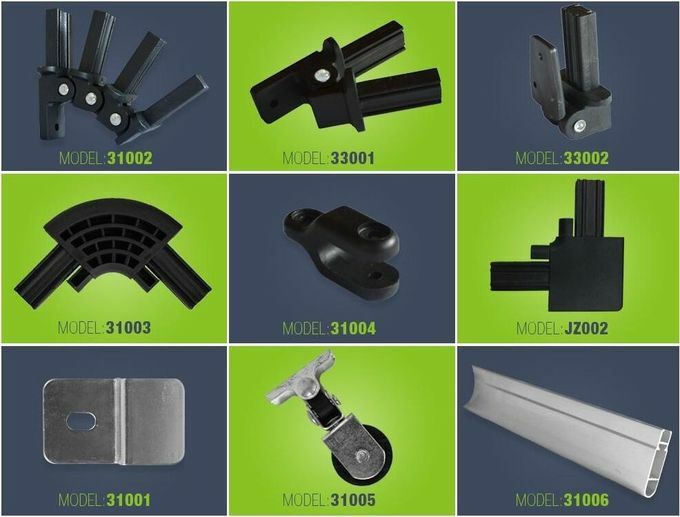 Carefully Design Rain-Guide structure, better to protect the awning fabric. 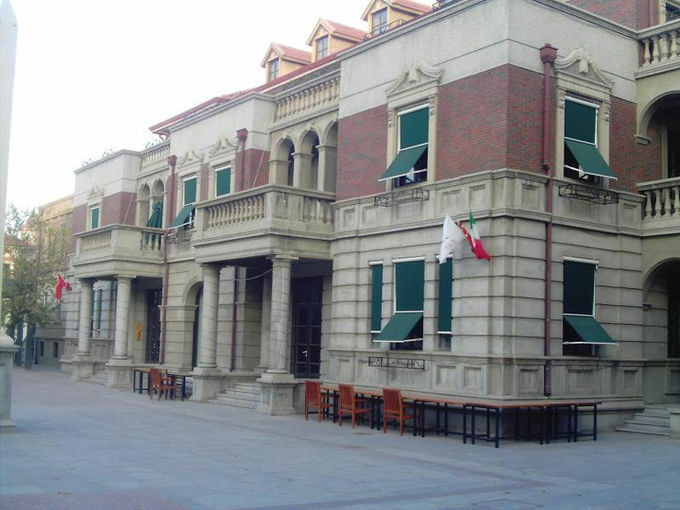 3 DM awning with strong arm has aluminum alloy frame and lightweight arm to easy for transport and install. 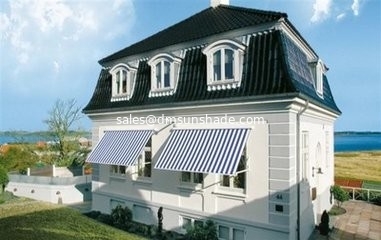 4.DM awning with strong arm use Spanish Fabric order to protect your skin from harmful UV rays by 95%. 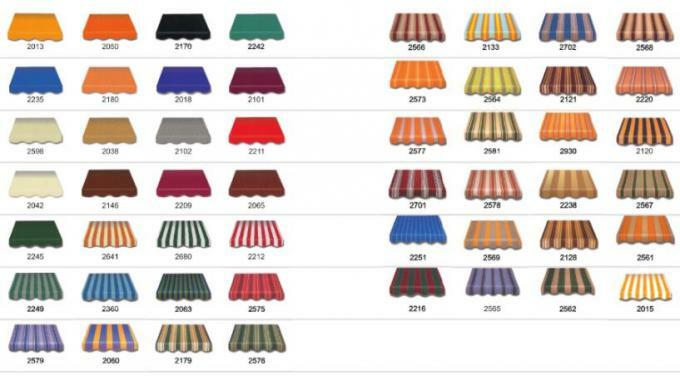 5.DM awning with strong arm has more than 150 color for choosing, be sure you have a fit mind. 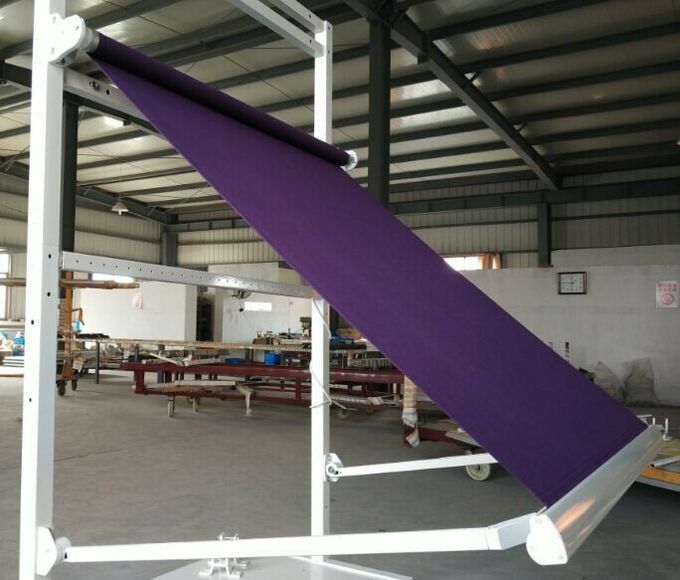 100% Solution-Dyed Acrylic Fabric, Do you know this? 1.Adopt 100% solution dyed spun fabric with adding UV stabilizer for locking the color in. 2.Guarantee coloration from consist fiber sources. 3.Long lasting competitive material compared to branded fiber produced in European countries. 4.Feel as comfort as cotton. 5.Water repellent is treated to keep the fabric dry. 6.Dirt-resistance and mildew resistance and easy to clean. 7.Pass the most restricted fire- retardant regulations. 9.Uncompromised industry-leading warranty against color fading. 10.Elegant color and stylish patterns. Which color do you want to pick? 1. Simple manual control by gear box. 2. Motor control by Wireless Remote, dm awning with strong arm can be designed by French Somfy Motor, peaceful and environmental protection. How to maintenance the awning? 1.Fabric of awning with strong arm should be cleaned regularly. 2.Remove surface marks with a brush. 3.Never use any other chemical product to clean our awning with strong arm. 4.Close the awning with strong arm in extreme weather of heavy wind or rain. 5.Not to roll up the awning when it is wet, but only if necessary, open it to make it dry. 6.To avoid the water puddles in the middle of awning, always keeping the fabric in tension and with an adequate slope or pitch angle. 7.It is recommended to mount the awning with strong arm on the solid concrete wall or bricks for better support.